If you are looking for a sober shelf article to raise the allure of your empty living shelf, then you have found the right place. This Jali Cutwork Lantern is the final destination for you. The intricate jail designing is the output of a pure machine work enhanced with human intelligence. Each of the flower pattern included in the floral cutwork design has six petals which is quite a delight to look at. The flowers are packed intact with their ends touching each other. 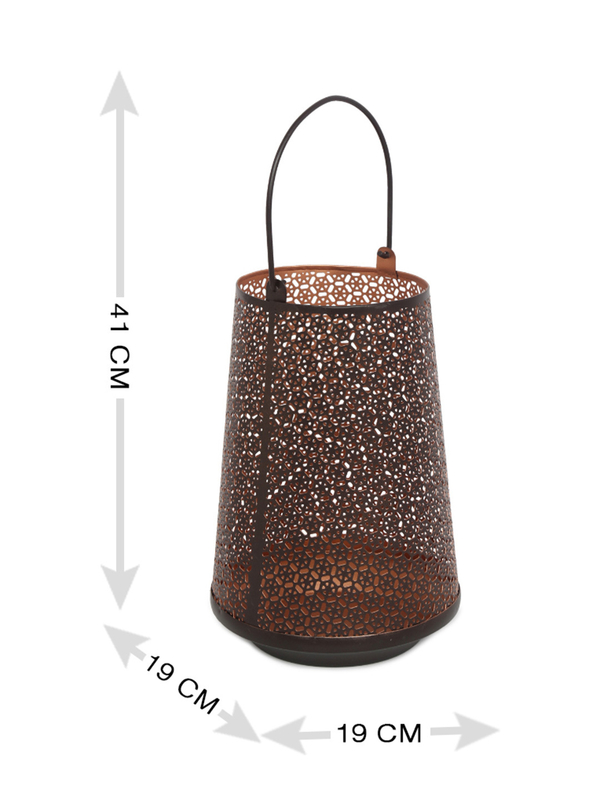 The small end to end connected flowers is compactly packed to enhance the sober look of jail cutwork lantern. To adorn your abode with this delicate showpiece, purchase it only from @Home.